When you ask Morton Katz ’51 what he learned at UConn School of Law, three lessons top his list: how to be a good lawyer; the importance of preparation; and knowing when to settle a case. Katz has had more time than most to ponder the value of his legal education. He’s one of the law school’s oldest alumni and, at 99, he’s still putting those lessons to use. For the past 19 years, Katz has worked as a special public defender at Hartford Superior Court. The rest of his nearly seven decades in practice include a mix of civil and defense work and an appointment as a Superior Court magistrate. He is also a decorated World War II veteran who remained in the Army in intelligence and civil affairs roles until his retirement as a colonel in 1972. While his frame may be bowed with age, Katz’s wit and recall are stunningly sharp. He delights in telling stories about his favorite cases, and ticks off names and dates with more precision than people half his age. When he talks about his upbringing in Hartford and service in the Army during World War II, a fuller picture of him comes into focus. That’s when his self-effacing nature, innate sense of justice, and commitment to serving others shine through. 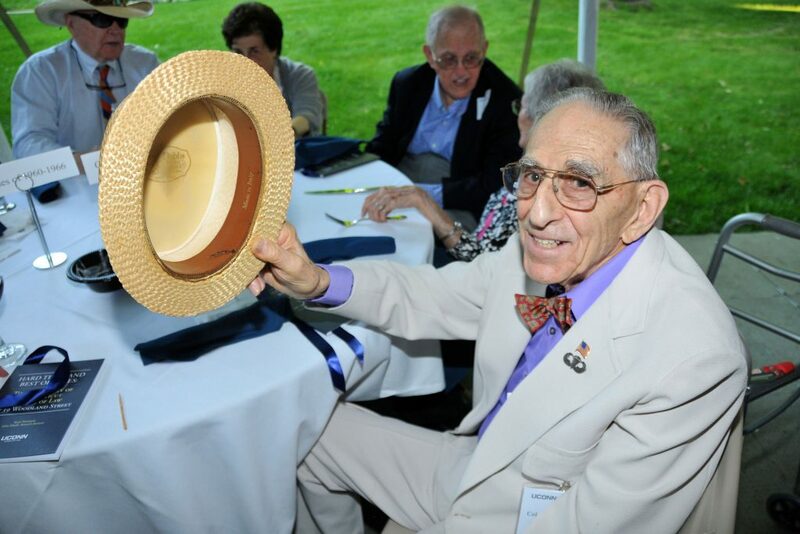 Morton Katz ’51 regularly attends events at UConn Law, including conferences and alumni reunions.Katz faithfully attends conferences at the law school and serves as a mentor, regularly visiting the school to speak to students.